"Paralysis" is the first word in my favourite song on Jen Cloher's latest album. Well this show was anything but. There was so much, positive, energy coming off the stage. The fun of being able to play these songs together in a small venue in Rotterdam showed. The interaction between the four musicians was obvious for all to see. And thus the music was able to do all the talking. A sheer powerhouse played itself out. Jen Cloher's latest album had quite an impact on me. One of those records that immediately nestle themselves within me. Where every twist and turn take my brain on a magical ride. (What does this say of Maggie Brown's 'Another Place' that ended first on my 2017 list?) When I heard she would only play one show in The Netherlands this winter, I found to my surprise that it wasn't hard at all to get tickets. Especially when it became clear that her wife would be on stage with her. 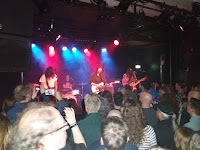 Of course the fact that Courtney Barnett was on stage gave the show a little extra. The indierockpress darling of 2015 played a support role on Cloher's side as lead guitarist and showed the world what an inventive and tremendously expressive guitarist she is. She was hard at work at times. It made Cloher shine the more. And shine she did. She's not a person who basks easily in the spotlight. Here there is a stark contrast with the easy smile Barnett flashed in the few moments that she did take the spotlight. 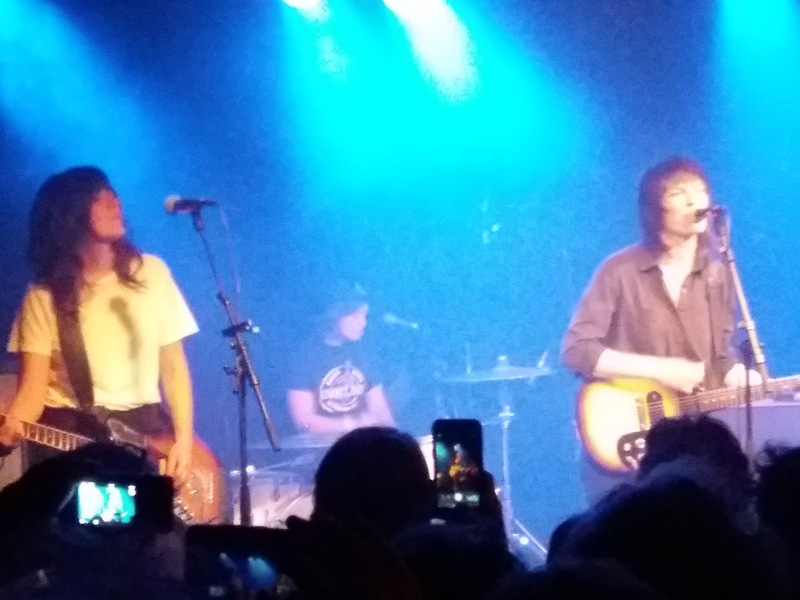 The moment Jen Cloher does smile it is broad and radiating. It shows part of her inner beauty and the joy of playing in front of an enraptured audience. Oh, enraptured we were. The songs from 'Jen Cloher' were familiar. I found out that there's a world to discover. 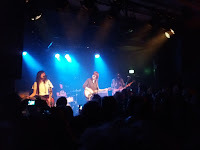 Several of the songs that came by were unfamiliar, except for the one on 'Lotta Sea Lice' by Courtney Barnett and Kurt Vile, 'Fear Is Like A Forest', now duetted by Cloher and Barnett. And they all sounded great, no exception. Their voices blend and contrast really well. Added to by bass player and drummer heightened the harmonies no little at times. 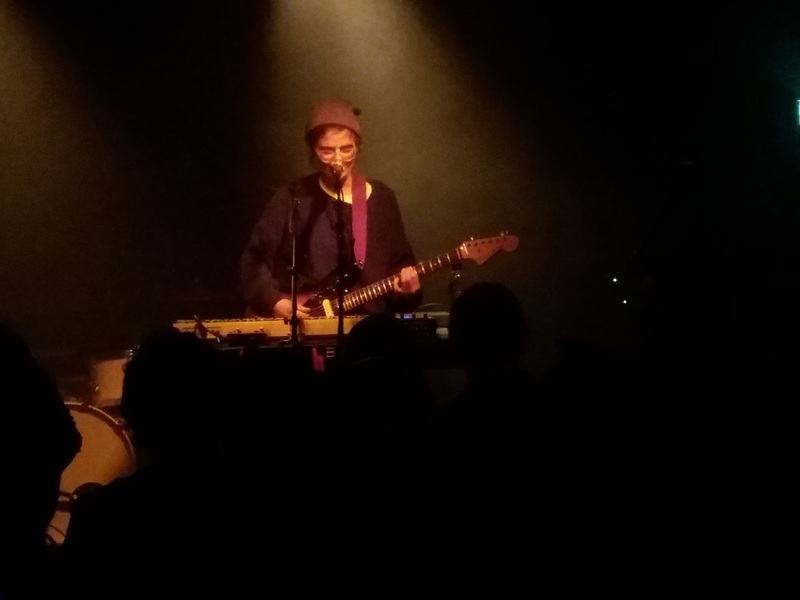 Thinking that several of the lyrics on 'Jen Cloher' touch upon Barnett's breakthrough and Cloher being at home alone contemplating the changes in their respective lives, it must be the sweeter that they are enjoying the start of Cloher's breakthrough together. "If I could have a wife", Cloher sings in 'Analysis Paralysis', followed by "I would pay my fines, pay my taxes on time". That part is taken care of with the new Australian legislation and the big wedding ring on her finger. Seriousness and humour in one sentence. Well done. 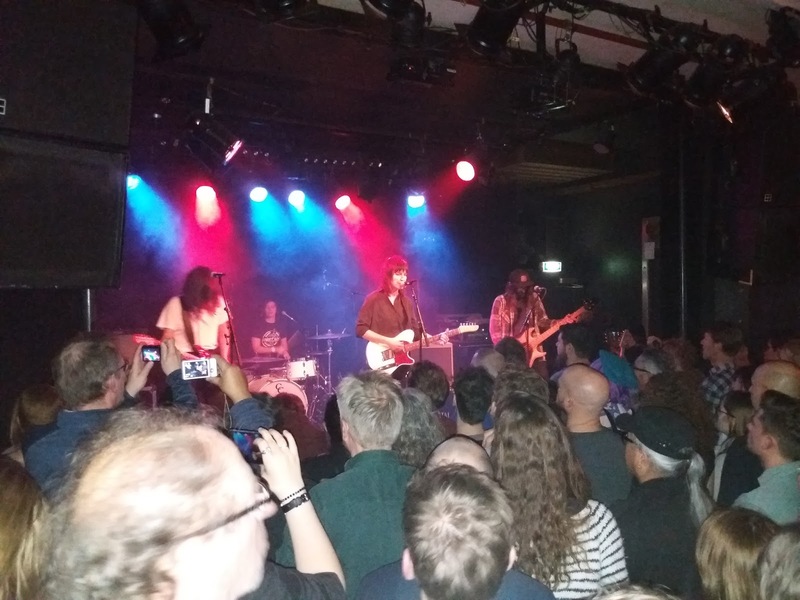 If anything Jen Cloher's debut in Rotterdam was a huge success. Intense, well-played and memorable. Supporting was label mate Hachiku or Annika Ostendorf from Australia by way of Germany. Playing alone with pre-recorded percussion and sampled vocals, keyboards and guitar, songs little by little came alive. Six in all Hachiku had time to play. All had their moments and were at a minimum charming and some were at my introduction to them downright good. The presentation was a bit messy and needs to be worked at a little. Let's say more absent-minded professor than musician playing live on stage. Once Annika got down to playing things went pretty well. 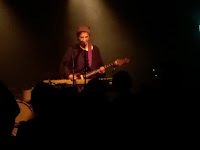 The songs are of a lo-fi nature and give the impression anyone could play them after a few guitar lessons; until the ease with which the melodies flow register. Playing may be one aspect, writing and arranging is definitely another and more important factor. In everything Hachiku reminded me of Italian singer-singwriter Cecilia I met last summer. Perhaps there's a place for here at the label? It is to early too say Hachiku is a real talent. To write that some more songs to her repertoire are necessary. The fact that she was signed by Milk! Records is a sign her talents are recognised by Cloher and Barnett. That is a start, I'd say. Perhaps more on her EP soon.